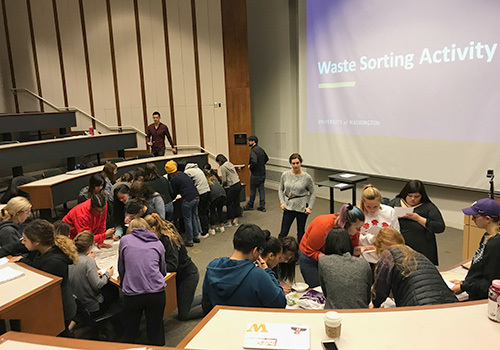 UW Recycling offers recycling training and presentations known as Trash Talks, which consist of an on-site visit to your group’s campus location to provide accurate details about waste diversion and answer questions about sorting responsibly (including what happens to recyclables once they’re put in the bin). UW Recycling staff also coordinate guided tours of off-campus recycling/waste facilities on request. Based on availability between 7:30 a.m. – 4 p.m., Monday – Friday. The duration of a presentation or tour is flexible and can be tailored to your group’s needs. 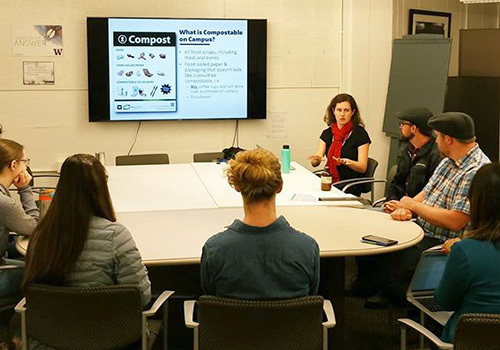 UW Recycling staff provide subject matter expertise and information, such as support for trash audits, data for research projects about campus waste, etc. 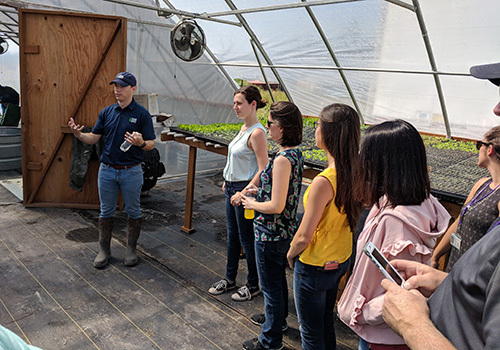 Refer to the FS Design Guidelines, or contact us if you need guidance for the following: waste and recycling technical assistance, inventory evaluation for current or new buildings, capital projects and remodels. Download waste sorting signage for your building. Varies. Contact UW Recycling for more information.